One of the fundamental principles of finance is the concept that $1 today is more valuable than $1 a year from now. The reason for this is two-fold. First, due to the destructive force of inflation, a dollar likely will not go as far in the future. Second, if I have the dollar in my hand today, I can invest it and earn a return in the form of ​dividends, interest or capital gains. 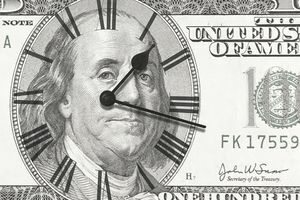 The best money advice anyone can ever give you is to firmly establish this concept of the time value of money in your head. The key to financial prosperity is realizing the potential value of every dollar that comes into your hands. In fact, I think of cash as a seed—you can either eat it (spend it) or invest it (sow it). To help illustrate this point, let’s assume you find a $20 bill on the side of the road. You are faced with two potential uses: you can stick the money in your tax-free retirement account or take yourself out to dinner. “It’s only twenty bucks!” you say to yourself and opt for the dinner. In reality, you are spending far more. Using one of the time value of money formulas, we can calculate the real economic cost of not investing the cash. To perform the calculation, we have to make a few assumptions. First, let’s assume you are 30 years old (and hence 35 years away from retiring at 65). That means that the $20 can compound for 35 years. We will substitute 35 for “n” in the equation. Next, we must establish your expected rate of return. Historically, the stock market has returned 12 percent. If you want to invest in bonds, your return will be lower. Assume that you invest in a combination of both and expect to earn a 10 percent rate of return. This will be substituted for the “i” variable in our equation. Enter 1.10 into your calculator (this is the sum of 1+.10). Raise this to the 35th power. The result is 28.1024. Multiply the 28.1024 by the pmt of $20. The result ($562 and change) is the true cost of spending the $20 today (if you adjusted the $562 for inflation, it would probably work out to about $140 in today’s dollars. That means your real purchasing power would increase approximately 7-fold). Clearly, this is enough to buy an entrée at a five-star restaurant! Armed with this knowledge, you are free to make an economic decision; namely, would you prefer to eat a $20 meal today or a $140 meal in the future. The answer is entirely personal. Once you understand this concept, however, it becomes painfully obvious that the small luxury items you think nothing of are really costing you millions and millions of dollars in future wealth. You can use this concept to understand how a long time horizon can help you achieve greater wealth in retirement. By starting to save earlier, you allow more time for your money to grow. By way of example, let's say you invest $100 per month starting at age 30. By age 65, you'll have more than $580,000, assuming the 12 percent annual return we cited above. However, if you started investing $100 per month at age 20, you'll end up with more than $1.8 million. That's more than triple the amount accumulated in just 10 additional years.